And here we are in December! Today I spent some time preparing my holiday baking list. I have a few school functions to bring treats to and my parents will be here for Christmas so I want to be sure I’ve got a few recipes selected and ready to go. This is the form I created and use to help keep myself organized in this area. Feel free to print a copy for yourself to use if you’d like. I’d love to know what recipes are going on your holiday baking list? Speaking of holiday baking and free, my friend Lynn, from Lynn’s Kitchen Adventures, has created an ebook called Quick and Easy Recipes for Holiday Entertaining that includes appetizer, candy and dessert recipes for the holidays that you might like. I’ve added the Easy Peanut Butter Cup recipe to my baking list. The ebook is free but you do have to become a subscriber of her blog in order to get it which means you’ll receive email updates every time she posts. Just wanted to give you the heads up on that. I purchased some packages of Peppermint Hershey’s Kisses the other day when they went on sale and would love any Christmas recipes you’ve got that includes them. On my list is this recipe for Chocolate Cookies with Christmas Kisses found at The Farm Girl but I’m just wondering if there are any others. Thanks! My very favorite recipe from last week definitely was Michelle’s Creamy Pasta with Lemon Pepper Chicken. Gosh was it ever good, the garlic/lemon combination was so delicious! When I reached out to Twitter last week for recipe suggestions Michelle was the only one that responded and I am thrilled that she did with such a winner for me to try. Thanks Michelle! Thanks for the baking list Laura! Well now I have to try the lemon chicken! I have a pack of chicken in the freezer that I can use for the recipe, and of course gallons of lemon juice! I love your baking list! Great idea. It was so good, let me know what you think of it! I’m tackling some of my baking this week too! Thanks for hosting another great MPM! Hi Liz, have a super week! 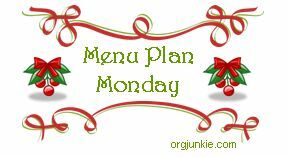 Your menu plan looks great and I love the printable. What a great way to keep track of what recipes we are making during the holidays. Thank you! I hope you enjoy the peanut butter cups. They are so easy and so good. Welcome Kim, glad you’re here!! I look forward to checking out your site as well. I want to say thank you for always offering this link up every single week. 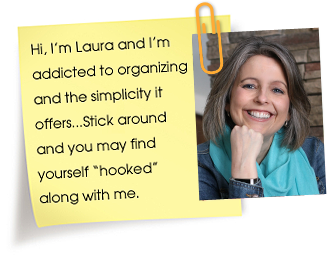 I know you’ve been doing it for a long time but I just want you to know it really helps us network, find new recipes, and bring traffic to our sites. During the month of November your site sent 566 visitors to my blog and that is simply from linking up my meal plan each Monday! Thanks for all you do! Ahh that’s so awesome! Menu planning is the best isn’t it!! I’m also making gingersnaps, cracker toffee, peppermint bark and rocky road bark. The shortbread cookies are already tucked away safely in the freezer! Thanks for the recipe links Karen! Your menu sounds delicious! Chicken tortellini soup sounds perfect for a chilly December evening, and I’m off to check out the pasta recipe you linked. Sounds wonderful to me, too. When I make my baking list, I include the source (as you did). I also list any special ingredients and quantities, so I’m sure I have enough on hand. This is mostly for ingredients like chocolate chips, sweetened condensed milk, cream cheese, and raspberry jam. Oh, and I try to note if a recipe requires softened butter, so I can plan the timing! I love Tortellini so I’m hoping this soup is yummy! I want to echo Crystal & Co by thanking you for hosting Menu Plan Monday each week. Your site is also one of the best sources of traffic for my gluten-free blog and helps me spread the word about celiac disease and gluten-free living. I also appreciate the printables and links to help keep me in the menu plan wagon. You’re welcome Wendy, so glad I can help in some way! I just LOVE holiday cooking. I can’t wait to try some of these recipes. I saw the Kraft chicken recipe too, and I was curious to try it as well. I look forward to hearing how it turns out! Will definitely keep you posted! I’m a little worried about it but I’m going to add more dressing like some of the reviews say to do. I made out my holiday baking plan the day after Thanksgiving! I just love to bake around the holidays, and I got a little over excited this year I think. I have about 20 different cookie recipes, plus 3 or 4 breads to make. Too much? Thank goodness for hungry doctors at work; they’ll gladly eat anything I bring! Apparently third time’s the charm. I got it to work. Thanks anyway!! could you please help us find what when wrong with your link-up? Would it be possible to drop us an email at info [at] inlinkz [dot] com describing the difficulties you faced? Oooh holiday baking; I love it! I just made my list of Christmas cookies this morning. Now to invite my mom and sister over to make cookies in a couple of weeks. Here’s what’s on the list. We may not get to everything, but we will have fun trying as many as we can! I have not cooked much for the past couple of years (worked a crazy job outside of the home) but this Monday link up gives me lots of ideas for meals! Thanks for hosting it! I love your Holiday baking checklist and you cookie cutter pict! Thanks for the recipes too! Thanks for the reminder to include a list of holiday baking! I’m still figuring out what I am making but will definitely do a post for that too. Maybe you can do a linkup for holiday baking one day? 🙂 I love the idea of chocolate chip pancakes… I was already planning pancakes for one night this week and just may have to make them chocolate chip. Yum! That chicken tortellini soup sounds delicious, quick and easy! I might have to try that one out! I think I’ll sub cheese tortellini for spinach and ricotta, though. Love that one. So far, I have made mini whiskey pecan pies, biscotti and muffin-tin smores. Coming up – Reeses cupcakes and peppermint bark candy bars! That Creamy Pasta w/ Lemon Pepper chicken sounds really good! I’ll have to give that a try.